UK prime minister Theresa May's European elections were the party's "first step" in his revolution, but its "first task" was to "change politics", Mr. Farage said. Labour's five proposals were rejected 323 to 240, indicating growing opposition to having the UK remain in a customs union with the European Union. Mr. Corbyn vowed to back a second referendum if his tabled amendment was defeated in Commons. The leader of the UK Independence Party (UKIP) Gerard Batten argued that Kenneth Allen was not a party member when he made the controversial remarks on Facebook in 2016. Jon Gaunt looks back on his best guests with highlights from some of his most popular and provocative episodes of Shooting from the Lip’s first year. 2018 has come and gone, leaving a trail of unpredictability and chaos in its wake, which was one of the UK's most event-filled years since the English Civil War. 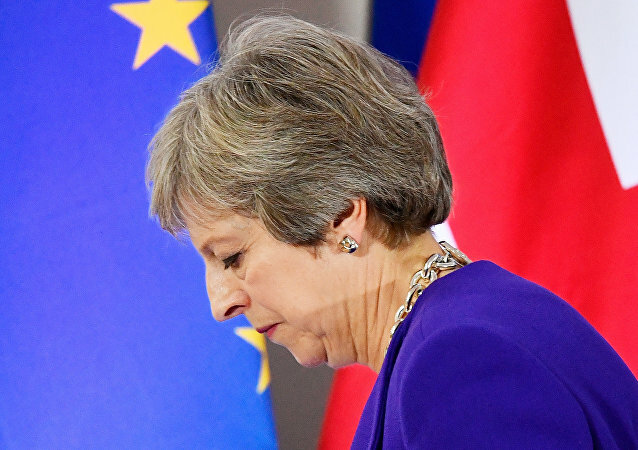 As the final countdown to 2019 (and Brexit) approaches, here are its most memorable stories, helping us to reflect on what made it one to remember, and possibly one we'd wish to forget. In a momentous week for UK politics, this week’s Shooting from the Lip features two guests with extremely strong views, UKIP leader, Gerard Batten and the Ex-Deputy Chair of the party who resigned this week Suzanne Evans. 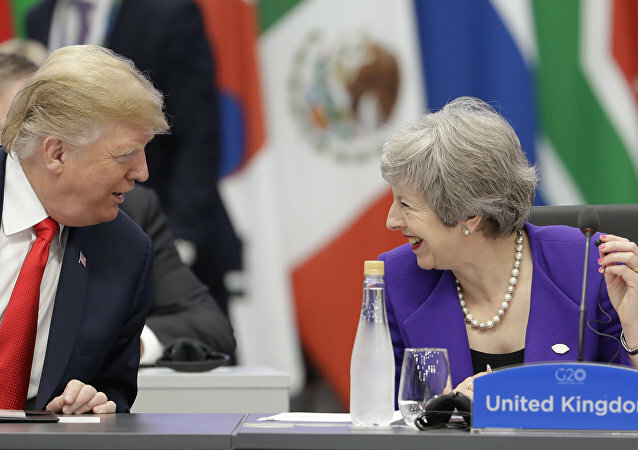 They both agree that Theresa May has betrayed the British people and both agree she will not get her deal through. LONDON (Sputnik) - The UK government's legal findings on the potential implementation of the backstop border arrangement has further exposed UK Prime Minister Theresa May’s alleged attempt to turn against the popular vote to leave the European Union, Gerard Batten, who leads the UK Independence Party (UKIP), told Sputnik on Thursday. 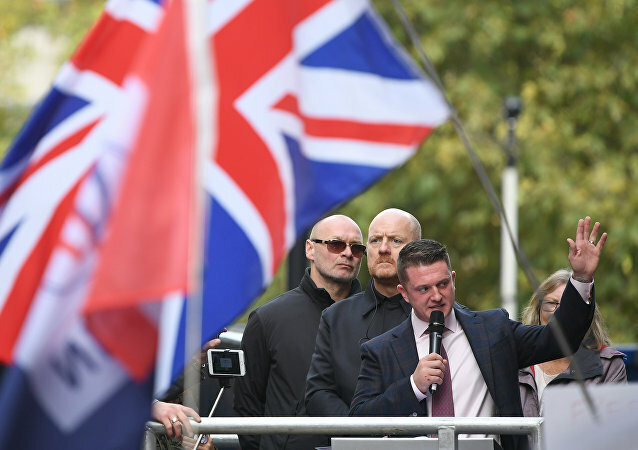 MEP and UK Independence Party leader Gerard Batten was quizzed on the recent appointment of a right-wing British activist Tommy Robinson to the role of a special adviser. UKIP are losing members as they are worried the leader Gerard Batten is turning it into an anti-Islamic party. Defectors believe the decision by Mr Batten to hire Tommy Robinson as an advisor is the last straw and 3 MEP’s have resigned in recent weeks. UKIP is being transformed into an "anti-Islamic party" which could soon be led by Tommy Robinson, former members and MEPs concerned about the leadership of Gerard Batten have suggested. Well there’s a surprise …Not! On the very morning that MPs are to discuss Theresa May’s EU betrayal and The Tories contempt of Parliament up pops The European Court of Justice’s Advocate General stating that the UK can unilaterally revoke Article 50 and stop Brexit. Theresa May will return to Brussels for Brexit talks this weekend as the UK and EU strive to do a deal in time for Sunday's summit of European leaders. Sputnik spoke to UKIP leader Gerard Batten about the negotiations and whether Mrs. May would survive. Nigel Farage, former UKIP leader, balked at the appointment of controversial activist Tommy Robinson as Gerard Batten's special adviser and said he would seek to remove him as the party leader. 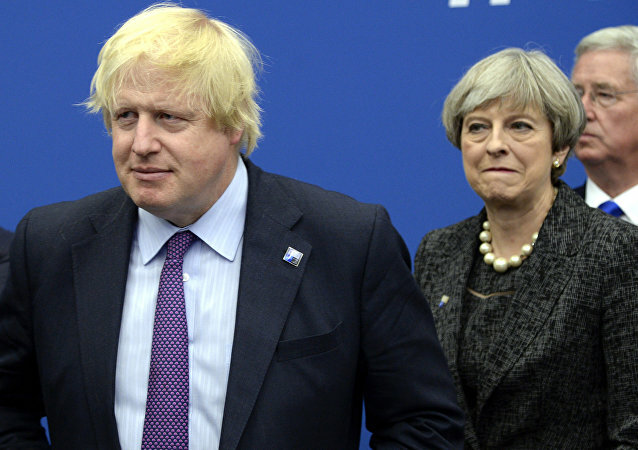 With Prime Minister Theresa May looking increasingly out of her depth and facing the prospect of a rebellion, opportunist politicians in the Tory Party and beyond will be watching closely to spot an opening. 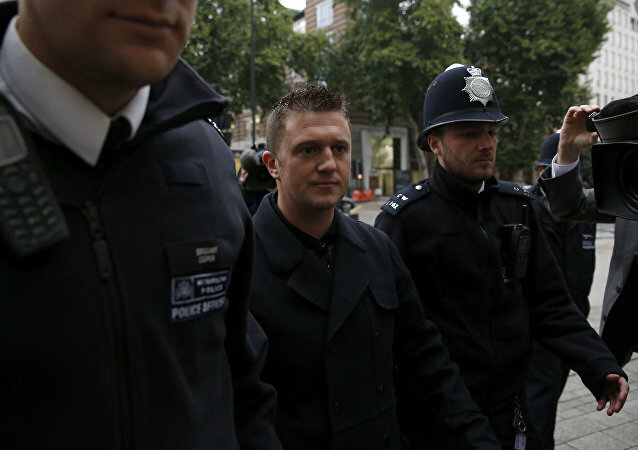 Founder of the English Defense League Tommy Robinson was pictured having lunch in the UK Parliament after appearing at the Old Bailey over a contempt of court charge. In the week of all this Brexit turmoil Jon Gaunt’s special guest is the leader of UKIP, Gerard Batten. Gerard Batten has some choice words For Theresa May and her failure on Brexit but he also aims his guns at Nigel Farage, the BBC, Russia and extremist Muslims. The United Kingdom Independence Party (UKIP) celebrated its 25th anniversary at the International Convention Centre in Birmingham September 22-23, with over 1300 members, political organizers and supporters attending the event. Steve Bannon has organized a right-wing project called the Movement in a bid to help European Euroskeptic parties win seats in the EU Parliament. Earlier a MEP from the UKIP party had endorsed Bannon's idea "to stand up to Soros" in Europe with his project. 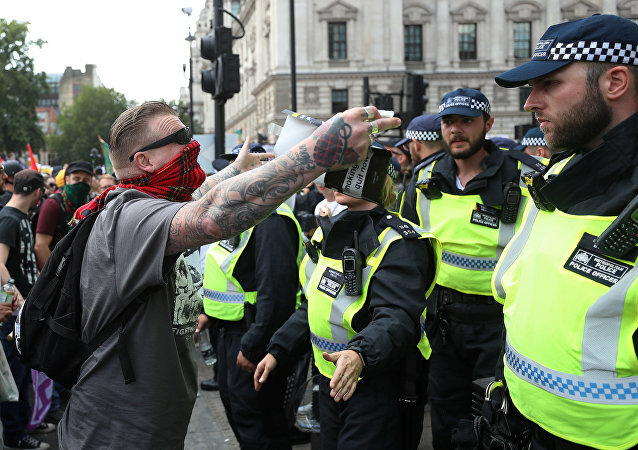 Thousands protested in London July 14 demanding the release of Tommy Robinson, the co-founder of the English Defense League, from prison - but while much-covered and condemned in the media, news reporters failed to acknowledge the event was organized and sponsored by an extreme right-wing US think tank.